Featuring classic architecture and modern, timeless interiors, Tempus draws inspiration from the classic Brownstones famous in New York. Photos: Supplied by McGrath. Prestigious living for discerning professionals, couples and families is coming to Turner. 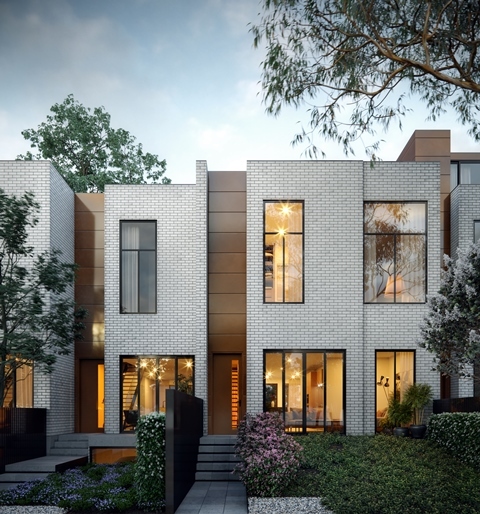 Tempus—the Turner Copperstones—is a curated collection of luxury three and four-bedroom townhomes designed without compromise. 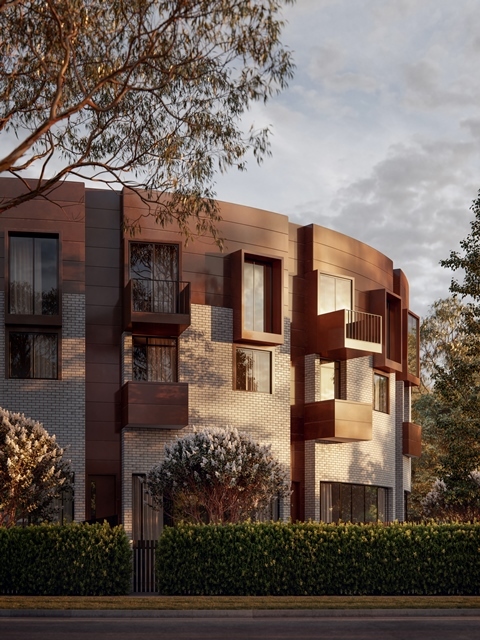 This unique, boutique development is perfect for those seeking sophisticated inner-city living combined with the quiet character of the Canberra landscape in one of the capital’s original suburbs. Featuring classic architecture and modern, timeless interiors, Tempus draws inspiration from the classic Brownstones famous in New York. No expense has been spared with design, layout and finishes. All townhomes are sited North East to the front or rear, and feature open-concept, multiple living areas and the finest fittings and fixtures. 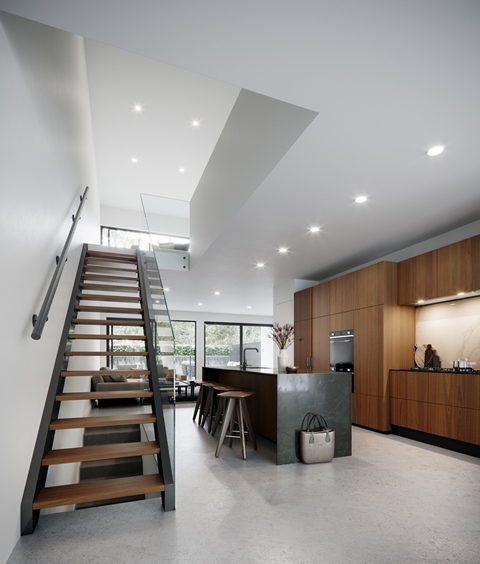 Three of the four designs enjoy segregated living areas and some soaring ceilings four or seven metres high. Tempus is the Latin word for ‘time’ and the development’s location is one where time stands still. Kitchens are large and great care has gone into their design. 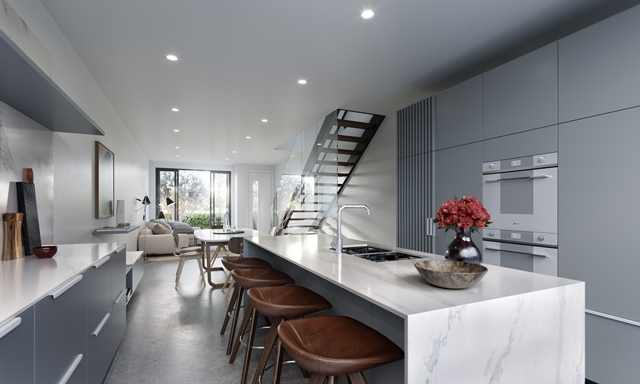 “The kitchens are beautiful and functional with Silostone benchtops, made of quartz. They’re hard-wearing, and chip, scratch and heat resistant,” says Craig. Another major plus of the kitchens is that they incorporate integrated fridges, freezers, dishwashers, and recycled waste units. They also feature double ovens, cooktops with side-by-side burners and top-brand appliances. The contemporary designs incorporate loads of storage. Bathrooms are functional with a strong sense of luxury. Designs vary with some enjoying double sinks, large mirrors, walk-in showers, bathtubs and skylights. Bathrooms have in-slab heating. All townhomes have at least two bathrooms and some up to 3.5 bathrooms. Indoor and outdoor living is seamless, with easy movement to private entertaining terraces through large, glass sliding doors. Townhomes have beautifully paved, rear courtyards and some have front yards large enough for the kids to play in (some up to 130 square metres). The development also offers a communal garden at the rear of almost 400 square metres, for all residents to enjoy. Kitchens are large and great care has gone into their design. Sound between units is well taken care of through solid concrete construction of walls between each residence, and high-level thermal and acoustic qualities. 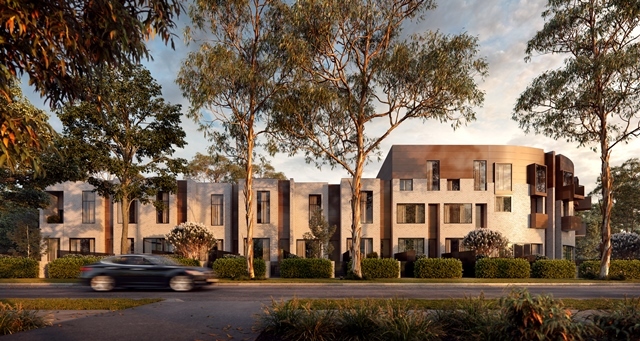 Tempus pays homage to the suburb’s natural elements and protects the existing mature and romantic landscaping, featuring 60-year-old trees and established hedging, most of which will remain protected. Tempus is the Latin word for ‘time’ and the development’s location is one where time stands still. Forbes Street is graced with an avenue of mature oaks forming a natural canopy. David Street offers views to Black Mountain in one direction and Mount Majura in the other. Indoor and outdoor living is seamless at Tempus. Tempus pays homage to the suburb’s natural elements. Townhomes are energy efficient with double glazing, ducted heating and cooling, and an average EER 7. All residences have a minimum of three car parks. The development has exceptional street appeal and is located on a significant corner—David and Forbes Street Turner. Location is everything. Schools are nearby, including Turner School, Lyneham High School, Campbell School and Ainslie School. The close-by light rail provides a five-minute ride to the city. O’Connor and Lyneham shopping villages are within easy reach, as is Braddon’s lively entertainment and shopping precinct. The Tempus display suite is open by appointment, Forbes Street, Turner. Townhomes start at $1.130 million to $2.2 million.